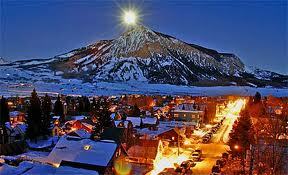 Crested Butte Mountain Resort (CBMR) retained Community Flights in 2013. The primary purpose was to reverse a trend where the Gunnison Airport experienced a multi-year air service decline. The reduction in winter air service persisted for five years. This loss of service cost the community 45 percent of available seats into the Gunnison-Crested Butte Regional Airport (GUC). Community Flights, prioritized developing public private partnerships. Community Flights, worked with the Rural Transportation Authority (RTA), the Tourism Association (GCBTA) and the Gunnison-Crested Butte Regional Airport (GUC). We first attacked the challenge of driving up load factors. Collectively, we succeeded by increasing loads nine percentage points in the 2013/14 winter season over the earlier winter. We built up another three percentage points in 2014/15 winter. This represented a total 12 point increase over two years. As a result of these higher load factors, planned winter capacity increased five percent in winter of 2014/15. We planned a 10 percent increase occurred in winter 2015/16 and a 5% increase for 2016/17. Stop the air capacity drop. Reduce minimum revenue guarantee payouts. Gunnison-Crested Butte Regional Airport (GUC) is a small regional airport with a high leisure traffic draw. Area attractions include Rocky Mountain wildflowers, fishing and mountain biking in the summer. During the winter, Crested Butte Mountain Resort (CBMR) offers premier skiing only 35 minutes by car or shuttle from GUC. Western State Colorado University and second homes also draw visitors to the region. From 2008 through 2013, GUC experienced over a 45 percent air service decline in airline seat capacity. The air service decline (Seat capacity) occurred despite having over 70 percent of air seat capacity revenue guaranteed. The steady reduction of GUC capacity resulted in fewer visitors to the region. Therefore, local tourism businesses struggled with the corresponding decline in revenues and some decided to close their doors entirely. Additionally, Tourism tax revenues also declined challenging air service funding sources. The decline of GUC capacity was partly offset by “leakage” to alternative airports, such as Denver. However, these visitors were spending fewer nights and fewer dollars in the Gunnison/Crested Butte region. Furthermore, Denver is another three and a half hour drive from Crested Butte. CBMR also lost visitors to other ski resorts. Many offered a much closer drive from Denver and/or more convenient air service. As a result of these conditions, CBMR executives began to question if local air service was sustainable. From their research, CBMR knew that air visitors were a big share of the total skier days at the resort. This is due to Air visitors staying longer and spend more than drive visitors. Hence, the declining number of airline visitors had a negative impact on resort revenues. In response, CBMR hired the professional airline support and development services from Community Flights. Community Flights worked with key local organizations to “Stop the Drop” in airline capacity. CBMR and the Gunnison Regional Transportation cover Gunnison (GUC) flight program revenue guarantees. The long-term effort involves these organizations working together to educate and increase community support for GUC air service. The main goal is to increase capacity and visitation on a consistent and sustainable basis. As more members of the community as well as more visitors support, promote, and use GUC, load factors and airline revenues will rise. This will lead the way to capacity growth in the future. Working with these regional stakeholders, Community Flights developed and executed its custom Air Visitor Capture Program. Community Flights built an airfare club that notifies opt-in members of every air deal into and out of GUC. Airfare club members join weekly. As a result, we are communicating air deal information via an email alert message and summary to more and more flyers. Community Flights and the RTA rely on a number of data sources to track booking pace and forecast flight loads and revenues. Using this research, we engage airline staff about initiating, fare sales. We look for a benefit to the community, its visitors, and the airlines themselves. These air deals are then incorporated into local marketing efforts to maximize passenger sales. We promote the most, when these reports identified soft sales levels in specific travel periods that these sales address and competing markets are uncompetitive. Community Flights also developed a travel cost calculator. This designed this tool to show the total travel cost of using GUC as compared to other alternate airports. This calculator factors in automobile expenses and hotel overnight expenses and drive time and cost. When passengers factor all travel costs, frequently, Gunnison Airport is a much less costly and time-consuming airport option. This is true for both originating and visiting air travelers. Consequently, we placed this total travel cost calculator on the www.flygunnisonairport.com website to help sell Gunnison (GUC) as the airport of choice for passengers. Since Gunnison suffers from a very high local leakage percentage, we involved local businesses in several programs. Additionally, the idea was to promote the use of GUC to visitors as well as local air travelers. Community Flight’s Fly Gunnison Airport Promotion was one promotion program. This program allowed businesses to offer discounts on products and services. We offered, through participating businesses, these discounts to any visiting guest or local who showed a boarding pass to/from the Gunnison airport. This promotion increased their buying power within the region. Additionally, It also positively affected many travelers choice of the Gunnison airport as their destination airport. At the same time, the RTA launched the Friends of Flight program. Businesses received incentives, including free airline vouchers, for educating their employees about the air service at the Gunnison Airport. Consequently, having the region’s workforce speaking knowledgeably about local air service is important. Local businesses also promoted the use of GUC on their own web sites and marketing materials. These programs caused many locals and visitors to “Check the Gunnison Airport First”. Previously, many travelers would go directly to alternate airports when searching for their air access to/from the Gunnison/Crested Butte Region. Of course, not all potential airport users ended up buying an air ticket to/from GUC. This and other efforts did, however, help to cut passenger leakage. We saw Gunnison’s average load factor increase nine points in winter 2013/14. The Gunnison airport saw 2,800 more passengers. Most of these incremental passengers were visitors who directly spent an extra $4 million dollars in the region. This extra spending generated an extra $12 million dollars in total economic activity. Due to increased loads and flight revenues, CBMR and the RTA paid less on their revenue guarantees than in earlier winters. Another contributor to lower revenue guarantee payments was the increase in first class occupancy. We increased paid first class purchases by identifying that a significant proportion of high-end leisure travelers flew to Gunnison. We then suggested they ask about the cost and benefit difference between coach and the first class product. We educated flyers on the cost benefit difference between coach and first class. First Class includes many services and features. These include free baggage, priority boarding and check-in as well as other amenities and services of great value. We worked with Crested Butte Vacations and the Gunnison Crested Butte Tourism Authority. We also worked with lodging property managers to highlight the extra benefits. There was a strong increased value perceived by many guests in the coach to first class upgrade program, after the upgrade after agents explained. This led to a significant up sell of guests from coach to first class. We increased overall flight yields and lowered the difference between the flight costs and the credited flight revenues. This also presented better value to these travelers. Many of these travelers saw the value in the conveniences and benefits that come with the first class service over coach. With lower payouts on the revenue guarantees, there were more funds available to help add 2,000 seats for the 2014/15 winter. We therefore expanded economic activity and job creation in the winter of 2014/15. In our second year, winter 2014/15, the GCBTA restructured itself to focus on increasing lodging occupancy throughout the year. The GCBTA also launched its own central reservation office. This focus aligned well with filling flights into GUC. The GCBTA launched several promotions that complimented CBMR and the community’s air service marketing support efforts. Both organizations relied on flight analysis provided by Community Flights. In addition, we introduced potential air guests to other bundled air ticket and ancillary products and services. We also encouraged upgrades to these higher level services and benefits. There was an increased customer communication focus on how bundles and pre-purchases of air ticket related services offer value. We noted they will often save the traveler on these overall air service costs. The RTA and CBMR also jointly funded airport surveys to better understand traveler behaviors, demographics and preferences. During the winter of 2014/15, flight revenues increased even more. Revenues increased to the point where all flights experienced either little or no revenue guarantee payments. The overall airline revenue guarantee payouts dropped from about 30 percent of the total CBMR flight guarantee risk in 2013/14. These payouts continued to drop to under 20 percent in 2014/15, the second year in a row for a drop in payment to the airlines. The RTA which also guaranteed flights, also saw decreases in their revenue guarantee payments as well. For the summer of 2014, the RTA successfully applied for and received a federal Department of Transportation Small Community Air Service Development Grant (SCASD). The RTA used these funds to launch new non-stop service to Houston. The initial service was so successful, that capacity for the summer of 2015 increased 177 percent and a high percentage of the incremental capacity filled. GCBTA drove air sales through a new digital marketing strategy and Community Flight’s Airfare Club notifications. Under the leadership of county board of realtors, Community Flights, CBMR and the RTA helped create the Gunnison/Crested Butte Air Alliance (GCBAA). The GCBAA is a 501 © 6 economic development non-profit. Their purpose is to engage a broader spectrum of community associations and businesses with the regional air service development and funding. The GCBAA is a Colorado Enterprise Zone project. This classification brings with it the ability for businesses contributing to the GCBAA to receive a 25% state tax credit on their contribution. In 2014, Rick Lamport, the Gunnison Airport Manager under took a Master plan process. While this is a regular every 5-10 years effort, Rick was able to include in the Master Plan process more air service data research. The airport then shared this data with the community air service stakeholders. This information helped further support the targeting of Los Angeles as the next air service market for the community to pursue. This data also pointed out other future air service market and airline opportunities. Through joint efforts of Community Flights and key Gunnison/Crested Butte air service stakeholders, GUC air service has stabilized. Gunnison has seen two years of capacity growth during both summer and winter seasons. More local businesses are surviving, many thriving, achieving a higher level of profitability. The increased coordination and focus has inspired hope for the air program by many in the Gunnison/Crested Butte community. They have begun to feel that Gunnison Airport will sustain an up spiral of seat capacity and visitor levels. This past winter we announced a NEW Alaska Airlines Los Angeles to Gunnison air service (Winter 1516). These flights excited many in the community. The community obtained this NEW air service to Los Angeles via a public/private effort between CBMR, the RTA, the GCBTA, GCBAA, and GUC. This will lead to better and better air service, in the longer term, for locals and visitors alike. Many local businesses also are experiencing more prosperity. In 2016, the air service stakeholders undertook a strategic planning process to further improve air service development collaboration. Working better collectively, these various organizations (The Ski Area, The RTA, The Tourism Authority and the Airport) are seeing a stabilizing and growing air service. The strategic plan process is looking to build on these recent successes. Weekly Airfare Tracking. – We evaluated Gunnison fares in comparison to competing destinations. Air Fare Club. – Opt-in resource that advises potential visitors and local tourism business of air price deals. We encourage potential visitors to book through price value notifications. We ask tourism businesses to promote price value to their potential guests when it is present. Air Deals Monitoring. – Identify air price deals that show a material price change to the regular historical prices compared with competing destinations. Communicate these deals to the airfare club, tourism partners and other air service stakeholders. (air deals often see short-term fluctuations vs. airfare tracking which considers longer term price trends). Fly Gunnison Program. – Value-added discounts for using the Gunnison Airport (GUC). This is triggered by showing of boarding pass. Communicate deals. – To community stakeholders and encourage them to send information to friends and family, past guests and potential visitors. Value First Class Focus. – Increase awareness of value first class airfares. Build land and air packages for guests that want a premium experience at a value cost. This increases paid first class purchases, guest satisfaction and airline revenues. Communicate detailed booking trends to airlines – when identified, to encourage air sale. We focus initiatives during soft travel sales periods. We share updates and air service support initiatives at community meetings we regularly attend. We focused on aligning community air service support efforts. The effort encourages their active promotion of air service with other travel features. We execute when a known air sale is coming to the market. We helped form the Gunnison/Crested Butte Air Alliance. – We participated with other air service development community stakeholders in facilitating the forming of Gunnison/Crested Butte Air Alliance (GCBAA). This entity is a 501 © 6 economic development non-profit. The GCBAA focus’ on engaging a broader spectrum of community businesses and organizations in air service development. We Assisted GCBAA to acquire Colorado Enterprise Zone status. – This provides contributions to the GCBAA to qualify for a 25% state tax credit. The GCBAA should help in attracting more business contributors to aid air service attraction and support. The goal is to increase air service development funding. This increases ROI immediately as these contributions are really 75 cents on the dollar with the 25% state tax credit. Load factor increased nine percentage points to 72 percent. – A level where sustaining or growing air service is possible in most ski air markets. Incremental direct guest spend throughout community increased by over $4 million. Total economic impact increased by over $12 million vs winter 2012/13. CBMR increased skier visits by over 20 percent from winter 2012/13. Much of this growth is attributable to an increase in air visitors. Increased winter program flight load factors three percent over 2013/14 winter and 12 percent over 2012/13. Revenues and Revenue to Cost Ratio Improved. – Revenue guarantee payments reduced to less than 20 percent of client maximum cap risk. This was, down from a previous 30 percent of cap 2013/14 payout. Incremental direct guest spend throughout community increased by another $1 million. Total economic impact increased by another $3 million versus previous winter 2013/14. Air capacity for winter 2015/16 increased by over 10 percent. Same or lower revenue guarantee costs for winter 2015/16 season by airline market.